The SAL (Lake San Antonio) Rally is great. Lots of good people, a great potluck dinner. A beautiful lake below the campground. Like is good. 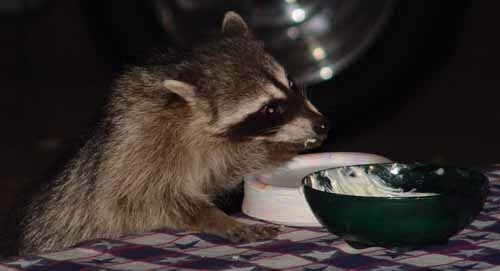 After dinner last night a couple things were on the table with 40 -50 people nearby, and the brazen raccoons got some cake and dip that hadn’t been cleared away. They were not bashful about raiding the table with a lot of people on a few feet away. There were 6 to 8 in this raiding party. A little later a deer and a fawn strolled into camp. These campground deer are as unafraid as the raccoon. It is fun to have wildlife come into camp. Up on the hill above us there are deer and wild turkeys this morning. There are supposed to be wild pigs here also. This is the third time we have camped here, and we have never seen a pig. The weather when we arrived was hot. It was about 95 here that day. Yesterday was probably in the 80s. It is cool at night. Sharon was in a long sleeve top and sweat shirt. This morning I am guessing that it is in the high 40s.